For simple systems, plug-and-play unmanaged switches meet the need. These products operate "right out of the box" and can be put into service without any configuration. Auto-negotiation, in which data rate (10/100/1000 Mbps) and duplex (half or full) are set between link partners without user intervention, is standard on copper ports. Auto-MDIX eliminates the need for a crossover cable when cascading switches. Models are available with either multimode (MM) or single-mode (SM) fiber optic ports to accommodate long distances through hostile environments. Fiber ports are fixed at 100Mbps data rate and use 100BASE-FX signaling at a wavelength of 1310nm. 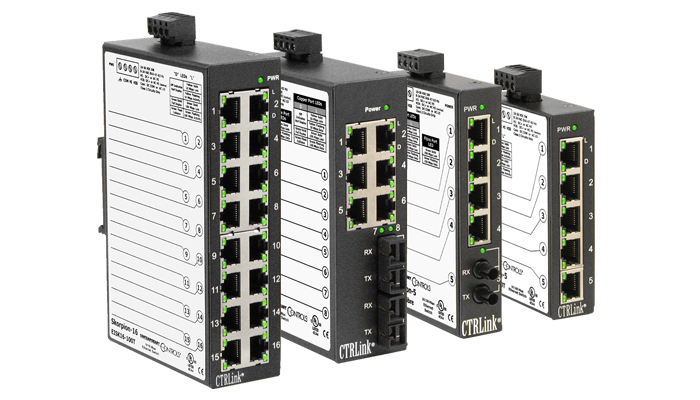 Unmanaged switches provide a simple, cost-effective method of expanding Ethernet networks. For control panels where DIN-rail space is at a premium, the Skorpion unmanaged Ethernet switch series offers widths as little as one inch (26 mm). Operating temperature 0 to 60°C. 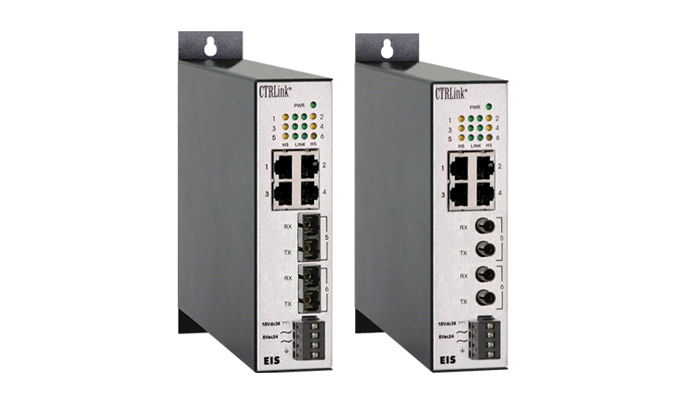 Utilizing switching technology, the compact and low-cost EIBA switches provide five 10/100Mbps shielded RJ-45 ports. Each port is auto-MDIX compliant and can operate as an uplink port, eliminating the need for crossover cables. 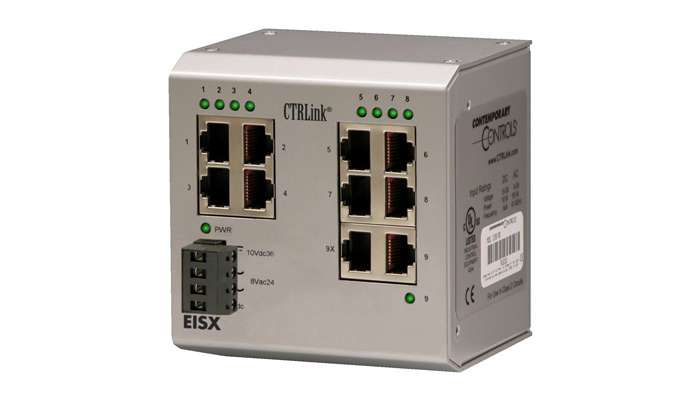 All ports automatically negotiate data rate, duplex and flow control. 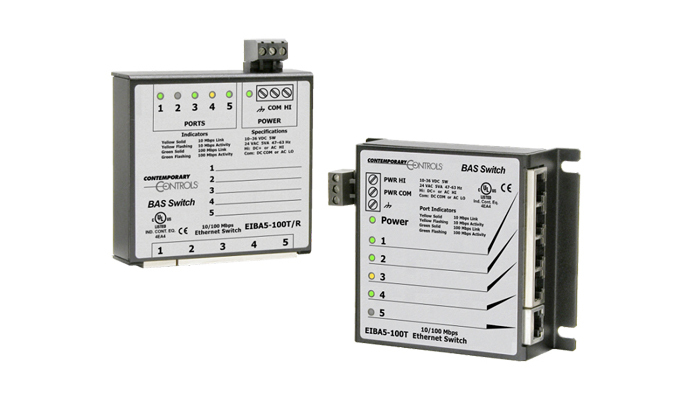 Panel or DIN-rail mount models available with operating temperature 0 to 60°C. The EISX compact switching hub is designed for industrial and commercial applications that require a small footprint and extended temperature range from −40 to +75°C. This series is ideal for situations where demanding outdoor temperatures are expected and compact size is required. Available panel or DIN-rail mounting. The EIS line of unmanaged switches within the Ethernet Interconnect Series accommodates up to eight 10/100 Mbps twisted-pair ports. A mix of fiber optic and twisted-pair ports is available in five and six-port models. The EIS complies with the requirements of Underwriters Laboratories (UL) 864 Control Units and Accessories for Fire Alarm Systems 10th Edition.